Paramount Pictures has shared a first look at the latest installment of the Terminator franchise. 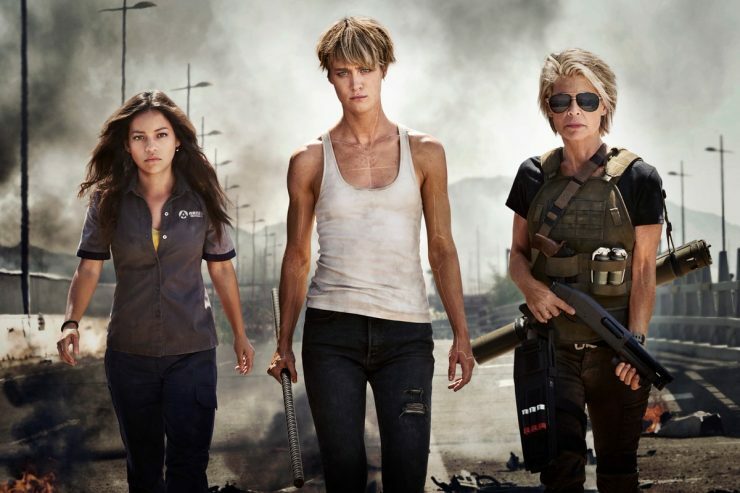 The image features Natalia Reyes, Mackenzie Davis, and Linda Hamilton returning to her role as Sarah Connor. The new Terminator movie will be directed by Tim Miller and the film opens in theaters on November 22nd, 2019. Legendary Pictures has acquired the rights to develop the graphic novel Prince of Cats for feature film. 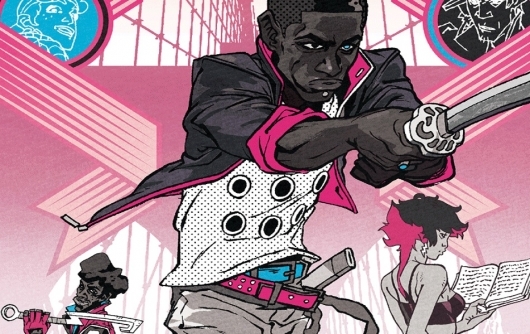 Created by Ron Wimberly, Prince of Cats is an 80’s hip-hop retelling of Romeo and Juliet, following the story of Juliet’s cousin Tybalt. Lakeith Stanfield will star in the picture, which currently has no release date. Star Trek veteran actor Brent Spiner is set to join the cast of Supergirl Season 4. Spiner will play Vice President Baker, an unlikely leader who steps up when the country needs him most. Supergirl Season 4 will premiere on the CW network on October 14th. 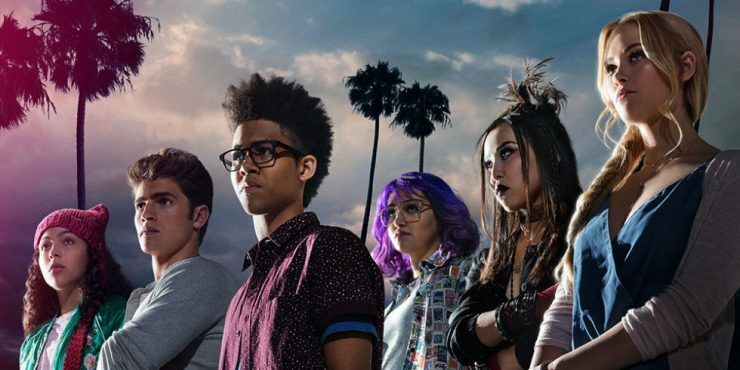 Hulu has confirmed that the second season of its Marvel series Runaways will premiere in winter 2018. The Hulu-exclusive series first debuted in 2017, following a group of teenagers who discover their parents are part of an evil secret organization. Runaways Season 1 is currently streaming on Hulu. FX’s drama pilot for Y: The Last Man has just added Timothy Hutton in a key role. 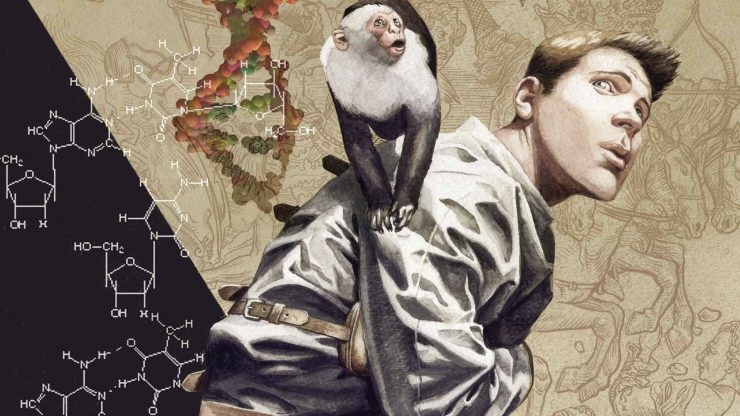 Based on the Vertigo Comics series, Y: The Last Man is a post-apocalyptic drama in which a cataclysm wipes out all male mammals on the planet except for one man. Hutton will play the U.S. president in the series pilot.